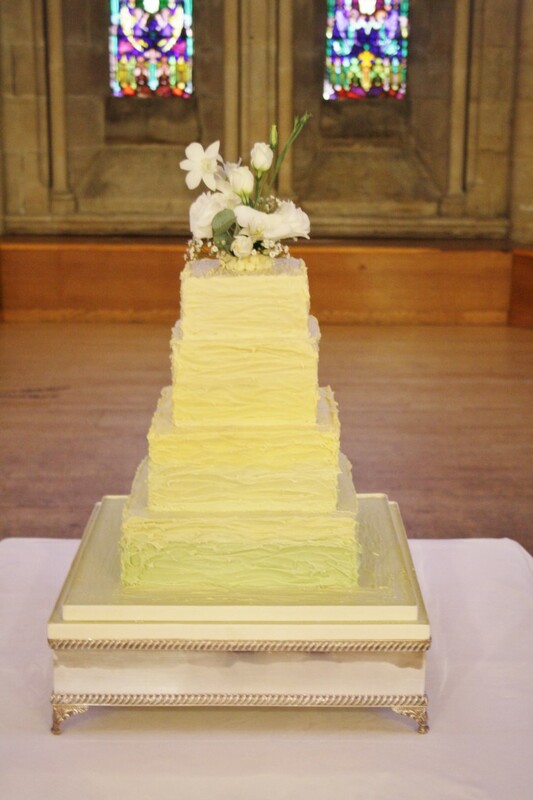 Four tier wedding cake at Ashdown Park Hotel, Wych Cross, Sussex. Iced in ruffled Belgian Couverture white chocolate ganache with ombre effect from pale green through to pale yellow. Decorated with florals provided by the family of the bride. Base tier of vanilla sponge with whipped Madagascan vanilla bean paste buttercream and raspberry conserve. 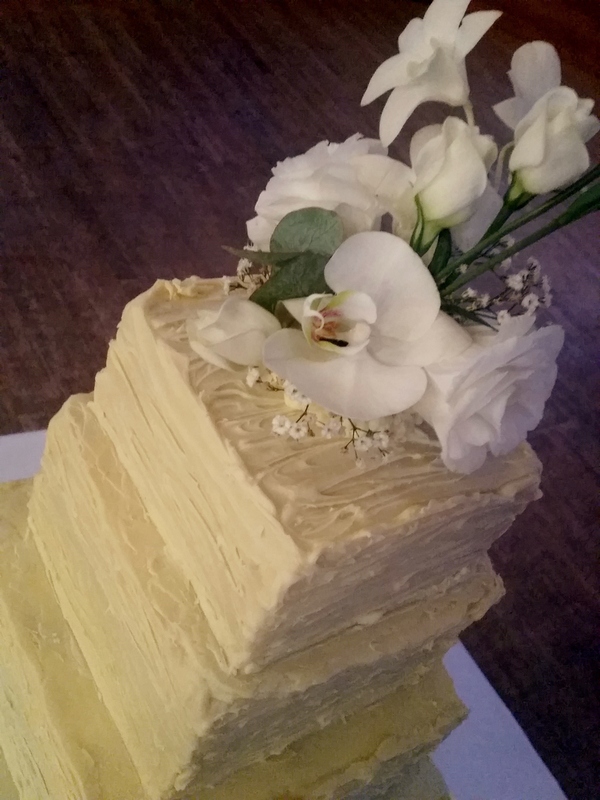 Tier one of moist fresh lemon zest cake with whipped lemoncurd buttercream. Tier two of moist Belgian couverture chocolate cake with whipped Belgian couverture chocolate ganache filling. Tier three of moist rich marzipanned fruit cake. Cake serves 140 finger portions.